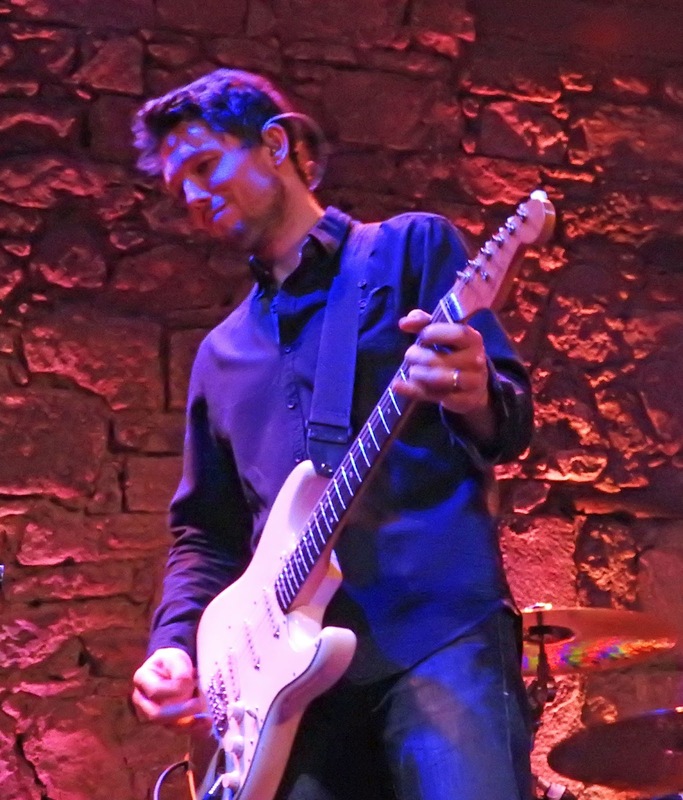 Aynsley Lister may tread the boards of the blues circuit, but he sure as hell doesn’t dwell at the grit’n’raunch end of the blues spectrum. What Mister Lister serves up is smooth and sophisticated cuisine, not pub grub. The opening instrumental is funky, and strong on dynamics, with hints of SRV and nice keys from Andy Price. But most importantly it immediately signals the clarity of Lister’s guitar tone. The show that follows is bookended by one of Lister’s specialities, a brand of supremely catchy, funky white soul that recalls Hall and Oates, maybe, with added guitar spice. ‘Inside Out’ puts down a marker, and ‘Other Part Of Me’ has more oomph than on recent album Eyes Wide Open, but at the end of the set ‘Stay’ and ‘All Of Your Love’ stand out, the former with a distinctive “yahoo” garnish to the verse, and the latter with its chunky, ringing guitar riff. All of which are well suited to Lister’s polished, pitch perfect vocals - even when he's struggling with a cold. In between, he gets into storytelling mode both lyrically and musically on the likes of ‘Il Grande Mafioso’, on which he makes good use of vibrato while conjuring up a seedy, underworld vibe. By the same token ‘Early Morning Dew’, from his 2009 album Equilibrium, perfectly captures the perspective of a slow lane observer of the rush hour. ‘Hyde 2612’ puts together some different ingredients, as Lister hauls out a semi-acoustic guitar to deliver a big sound, adding touches of slide in the course of some guitar/bass interplay with Steve Amadeo as a precursor to an impressively varied solo, before taking things down to just guitar and drums. There’s a touch of boogie to ‘Sugar’, featuring a tongue-in-cheek guitar and piano duel between Lister and Price, but it’s the swing they bring to the blues that stands out on both ‘Quiet Boy’ and Muddy’s ‘Champagne And Reefer’, with Price nicely upping the jazz quotient on piano, and Boneto weighing in emphatically with swinging drums. In fact the longer the night goes on the more Dryden shines. He doesn’t just knit the sound together beautifully with Amadeo, he underscores the funk and swing in the arrangements, shifting rhythms to great effect in the fiery encore of ‘Purple Rain’. If I have one wish for the next time I see Aynsley Lister, it’s that he finds a space to take some bigger risks and shoot for the moon and from the heart. 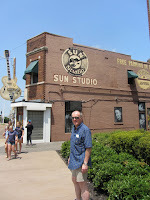 The guy is a Premier League guitarist, a top-drawer bandleader, and an adventurous songwriter. And I think he’s still got more gears at his fingertips. On the undercard, Main Street Blues deliver the kind of earthy, rocking blues that’s right up my thoroughfare. 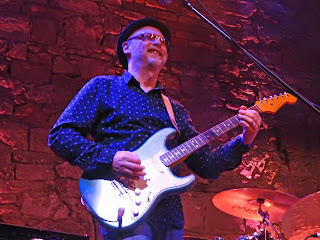 I can’t say I was familiar with Coco Montoya’s ‘Last Dirty Deal’ or Walter Trout’s ‘Broken Heart’ before, but these guys give them both a gutsy, early British blues-rock feel, hinging on the mix of Derek Smith’s guitar and Iain Hanna’s organ sound, and underpinned by the well-grooved rhythm section of John McEvoy on drums and John Hay on bass. The self-penned ‘Cold Bed’ has a surging riff and an air of Robben Ford’s ‘Howlin’ At The Moon’, and stands up well alongside a soulful reading of Albert King’s ‘Breaking Up Somebody’s Home’. Catch ‘em if you can.